Is there a better alternative to Mega Ninja? 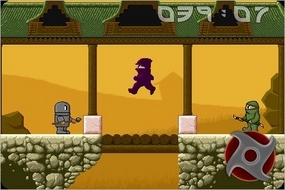 Is Mega Ninja really the best app in Adventure category? Will Mega Ninja work good on macOS 10.13.4? 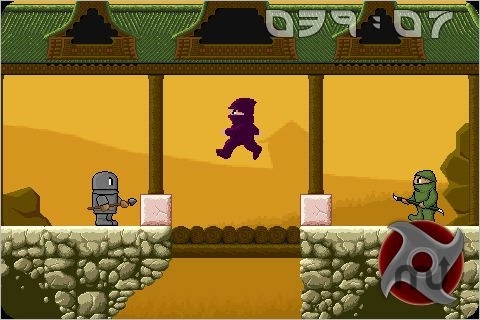 Mega Ninja is an awesome action/adventure platform game. It combines intuitive yet classic gameplay with cool old school graphics. You guide a ninja through a world of great evil. Your only mission, except for staying alive, is to collect the delicious pies that is placed all over the land. On your journey you will have to destroy or evade hordes of enemies, jump, run, climb, flip switches and search for the enormous pie pieces that is scattered all over the landscape. You have to collect all the pie pieces as fast as possible. Now has cool music and sound effects! Mega Ninja needs a rating. Be the first to rate this app and get the discussion started! To finally become a true ninja master you must collect many pies. You will be able to perfect your ninja skills and learn new ways to deal with an obstacle in practice mode.